Featuring an individual design and dynamic appeal, the 4 Series Coupé sees BMW building on the technologies and developments of the 6 Series and 8 Series Coupés, whilst providing more sporty style than the 3 Series. 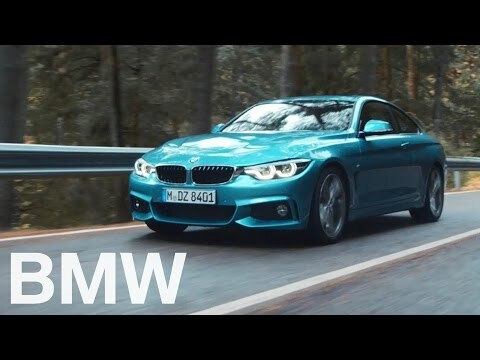 A mid-size coupé finished in high-quality materials, the 4 Series Coupé exhibits well-balanced design and elegant good looks that encase a luxurious interior. Offering freshly styled rear lights that emphasise the Coupé's wide chassis and lowered ride height, the full-sized light element creates the signature BMW "double L" in a contemporary 3D form. The cabin features the same attention to detail as the exterior – with discreetly embossed "BMW Individual" lettering on seats and door sills, you know the 4 Series means class. Detailed all-leather upholstery helps enhance the interior's luxurious ambience, while hard trim featuring wooden strips adds the final touch to the high-class interior.